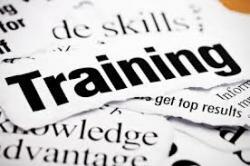 As a logistics company, are you aware of the benefits you can reap by investing in training for your workforce? There is the obvious – material handling equipment training, extensive safety and equipment training in order to operate daily. There is also the basic company history, policies and procedures training offered to new hires. But what about on-going, skills development training? The most valuable asset we have in our organizations are the men and women already inside the four walls. Successful companies should be contently focused on retaining and training your workforce. Once the initial training is complete, we should be thinking about preparing the workforce for any skills gaps and the ability to manage bigger challenges. Unfortunately, organizations spend so little time and resources on those inside. Companies have their associates running to execute tasks at hand instead of investing in their development. Establish the outcome you want from training. That means determining the group you want to train and what kind of training you want to focus on. You will need to follow up and evaluate how successful the training was and keep the topic alive. You also need very clear and precise learning objectives, clear feedback, a form of measurement or assessment and regular opportunities to practice and get feedback. And here's a must: leadership's direct support. This talent development is a top-down project that should be championed by senior leadership. Success stories should be shared throughout the organization to create both awareness and demonstrate the training's importance to the success of the entire company. Organizations should embrace the climate of learning. The benefits of consistent, on-going training are numerous. Logistics companies will see consistency in processes, improved performance, weaknesses addressed, and overall associate positive satisfaction. In return, associates are more likely to embrace change which is a necessary part of today's supply chain environment. Engaged, motivated associates are more likely to stay in their jobs, and that results in a reduction of turnover which boosts the bottom line. Associates will feed off the team approach to training and appreciate the interaction with all levels of associates. It can even make your logistics company more attractive to potential candidates. There is a great need for talent and skills in the supply chain. What are you doing to bridge this gap?